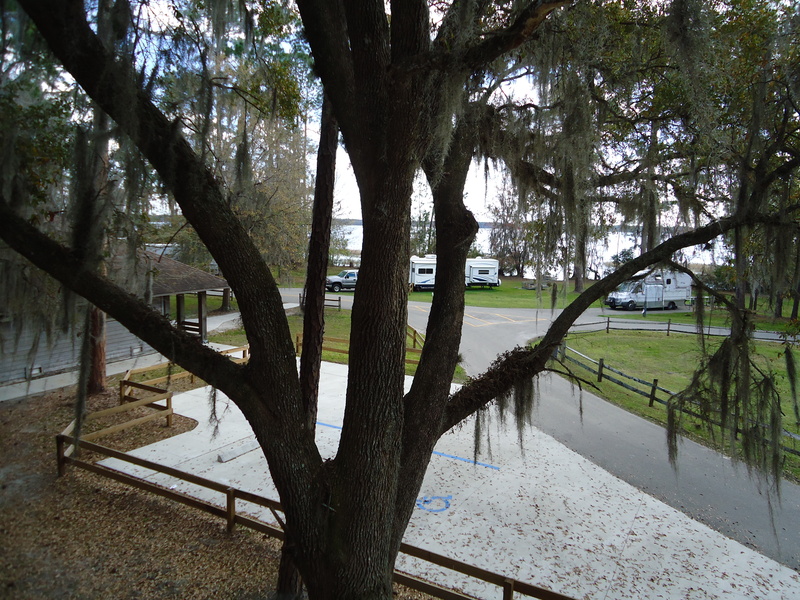 We started our today with a nice walk around the complete campground. 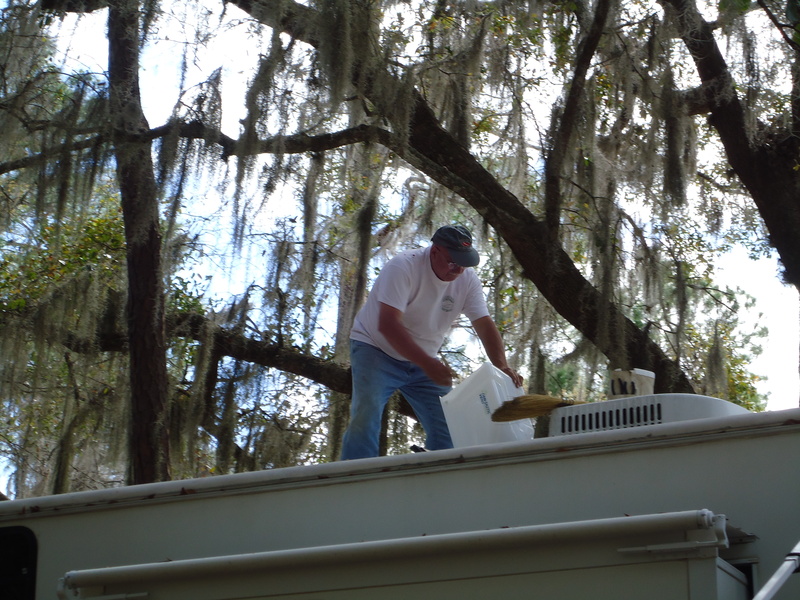 Today’s work was on the roof, and while I was up there Peggy continued to polish the fifth wheel with her trusty can of Gel Gloss. 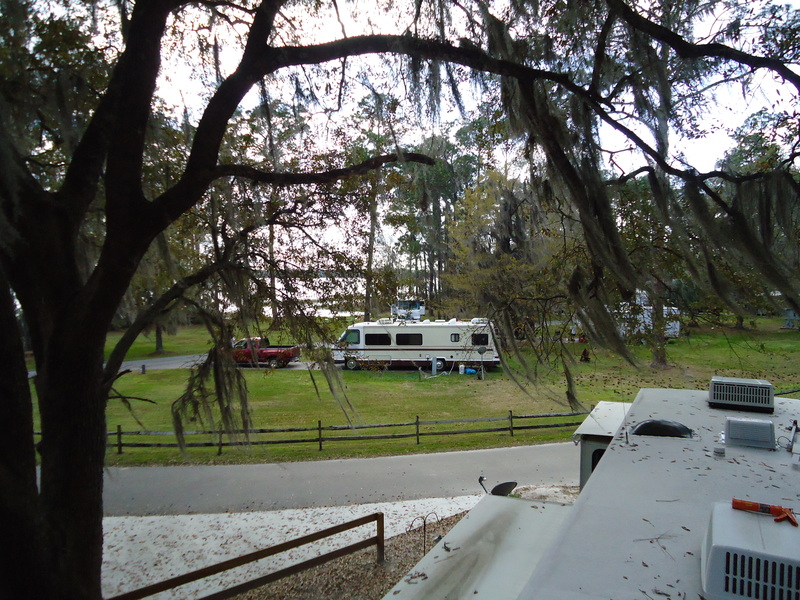 I slowly went up on the roof. 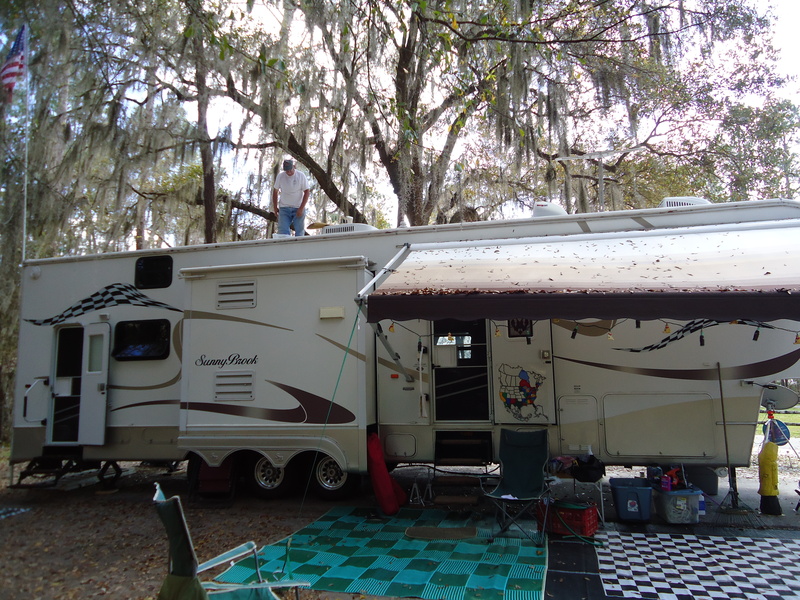 Ladders that are built on RVs aren’t always the most sturdy. 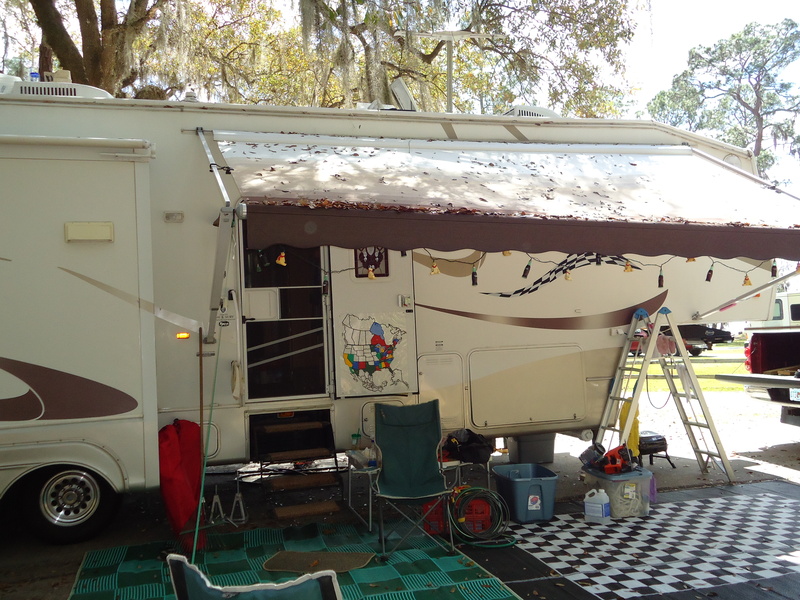 Our is removal (so the garage door can swing down) and even less sturdy. 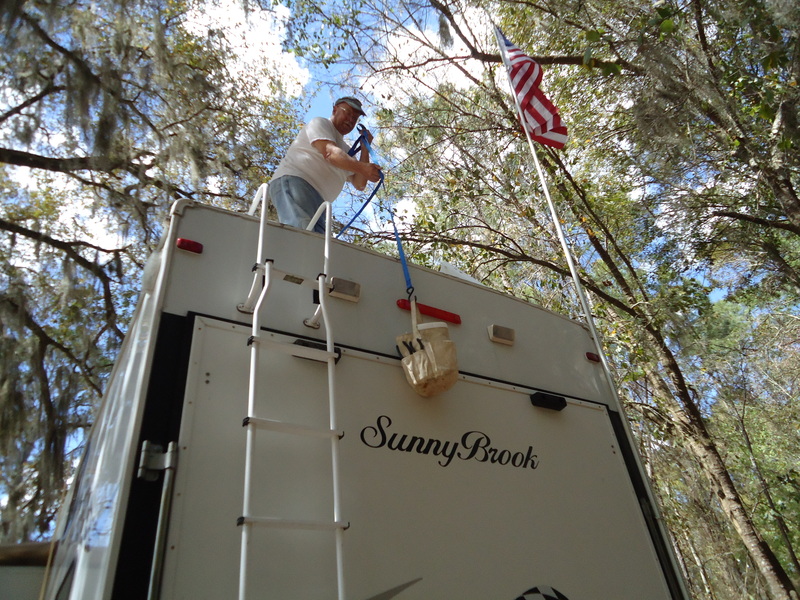 Our regular folding ladder isn’t tall enough for us to use as we are 13 feet tall so up the RV ladder I go. 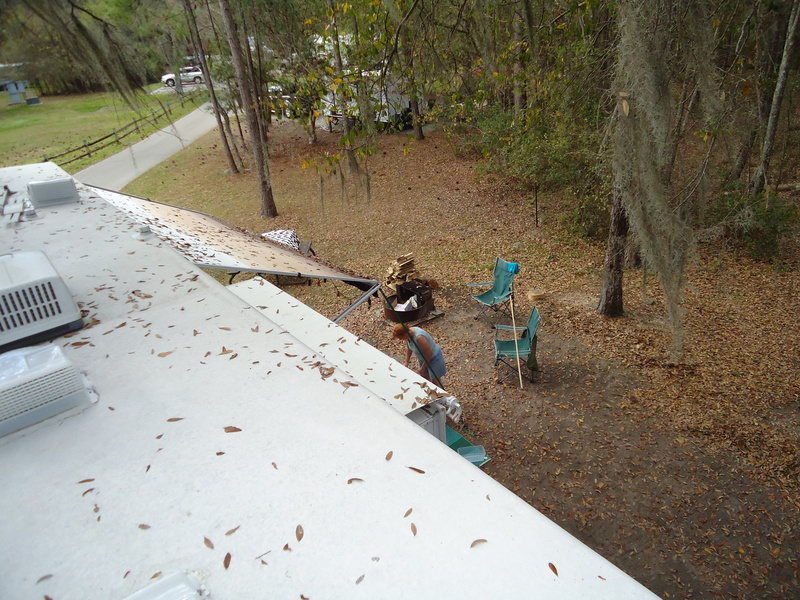 Being the ladder is the worse part, and I don’t like heights, I was on the roof four hours! 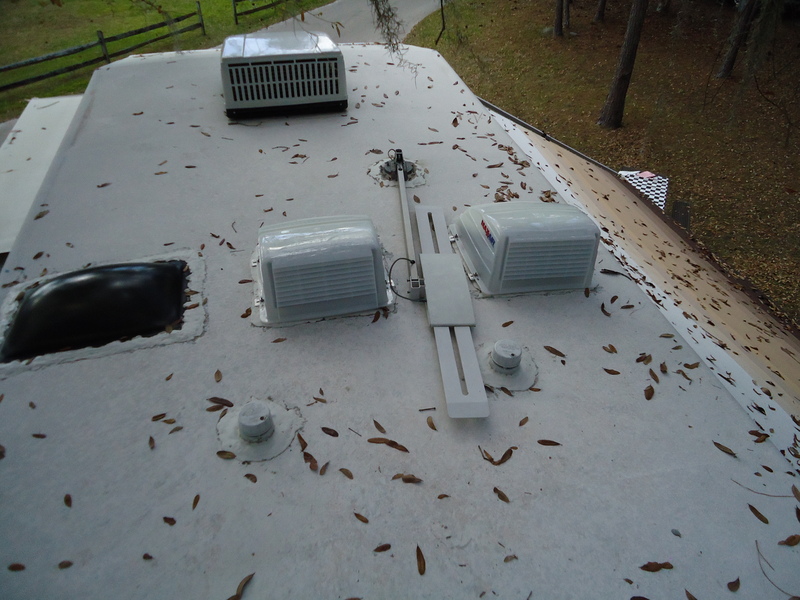 I am putting vent covers over four of these vents. Look at the leaves! Trying a cover on for size. Two covers went on as directed in the instructions, and of course two didn’t and we had to modify the instructions. This guy had to come lift me off!! Don’t know what he was doing in the neighborhood. 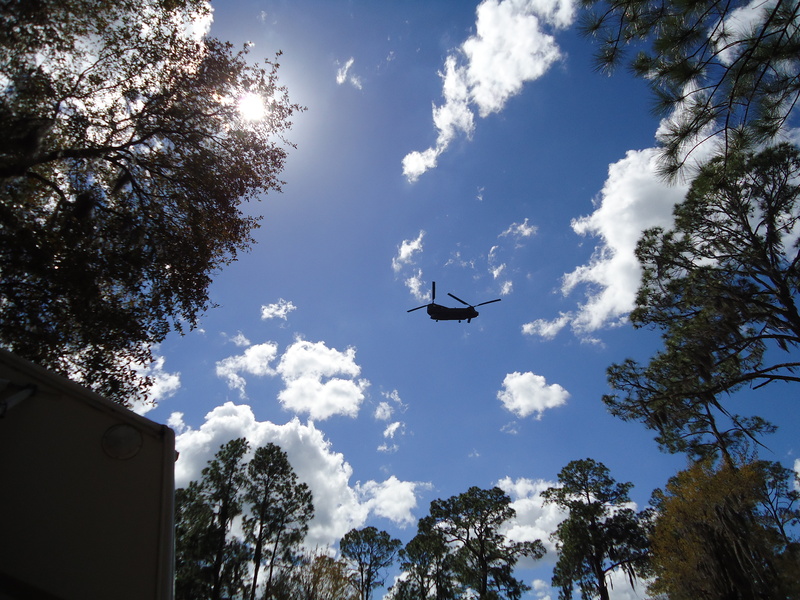 There is a company in Lake City at takes jet airliners and reconditions them – don’t think they do Army copters. The Two that didn’t follow instructions. Hey didn’t I clean those leaves off three times? Looking back at the two that did follow the instructions. 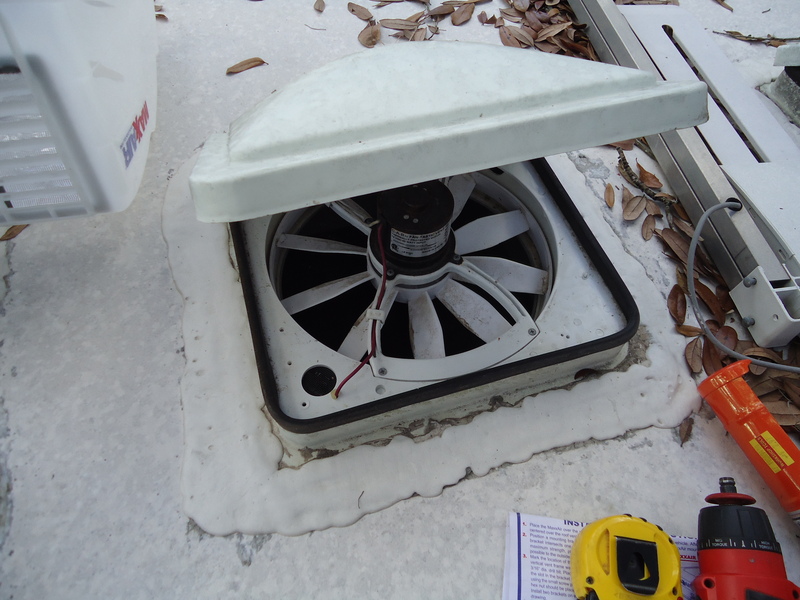 We had decided to put new covers on four of the vents and leave the fifth one alone as it is in the garage and very hard to get to. 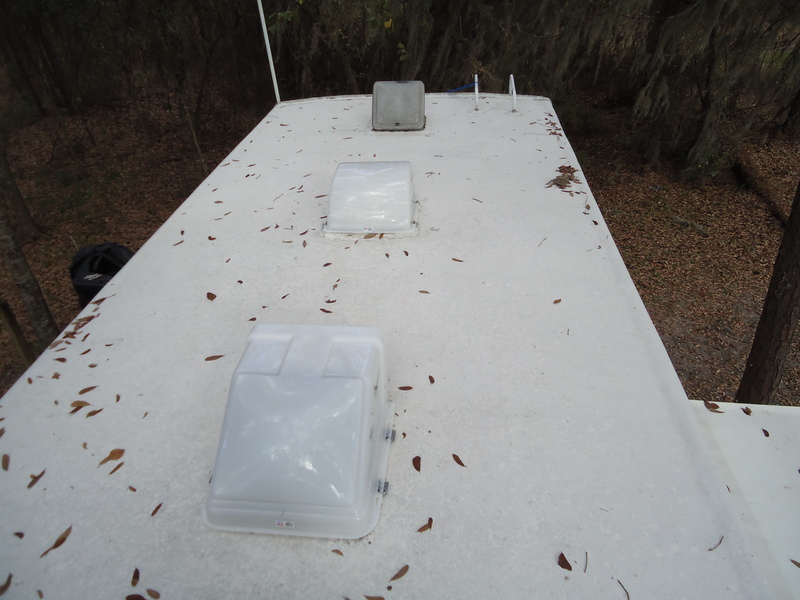 As things go the fifth vent (in the back) is cracked so next trip to Camping World I will buy not only a fifth vent cover but also the hatch cover. 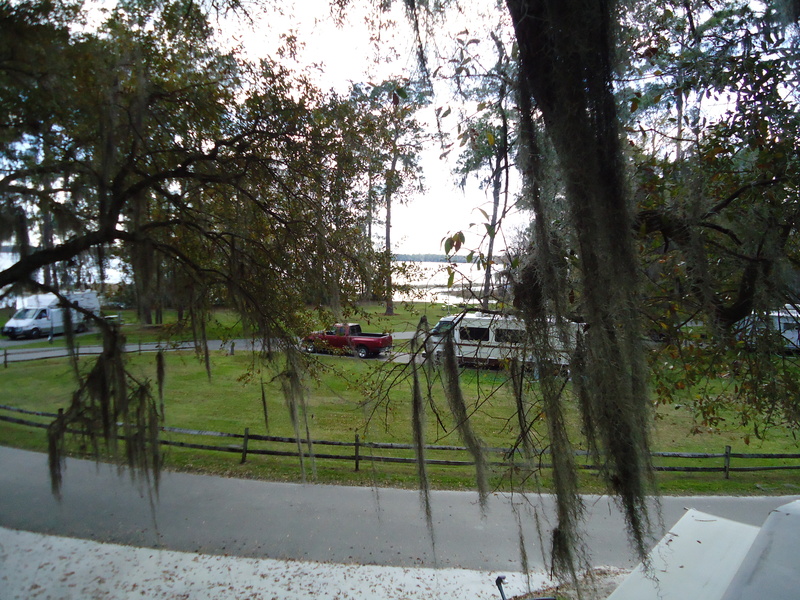 The view from up on the roof is pretty good! 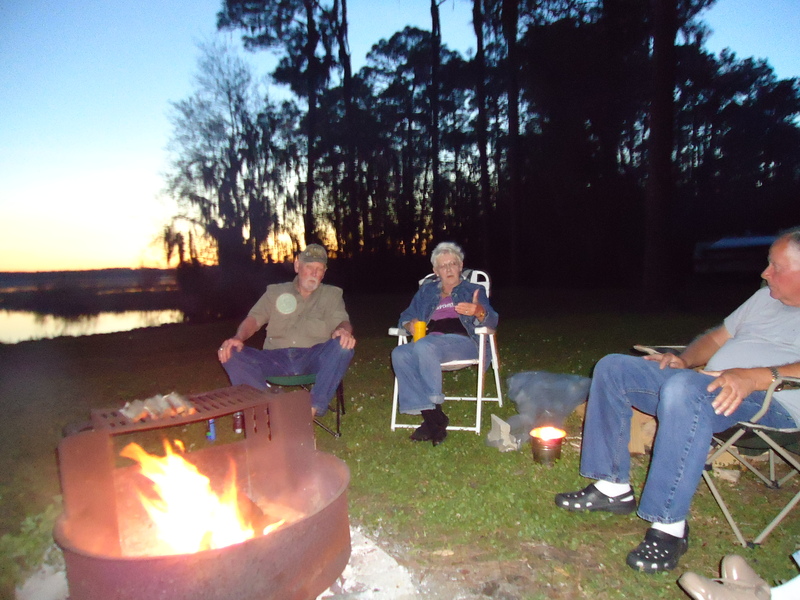 After Miss Peggy’s famous sloppy joes, some spiffy rice and a salad we went over to the neighbors for a fire. 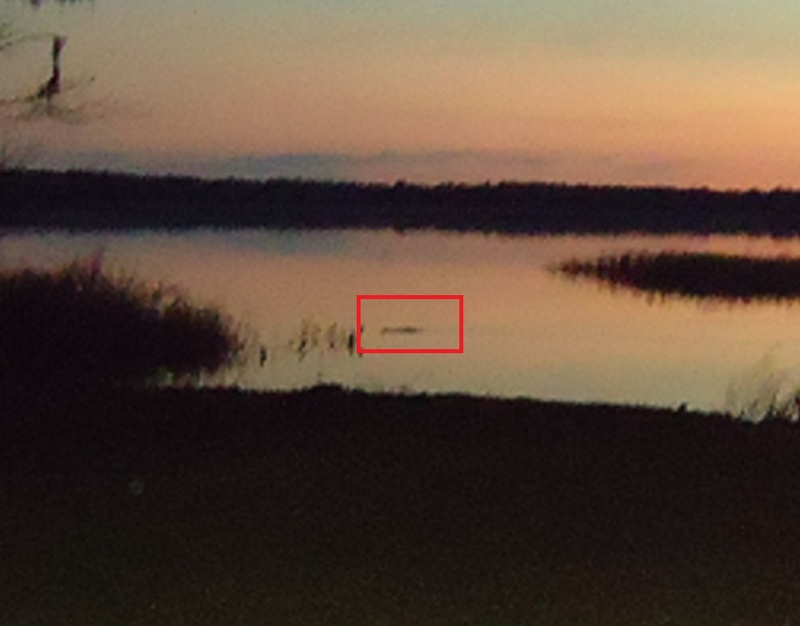 Look in the left center of the water and you will see a gator. This is Ali’s head. Probably about 10 feet, no need for a closer picture. 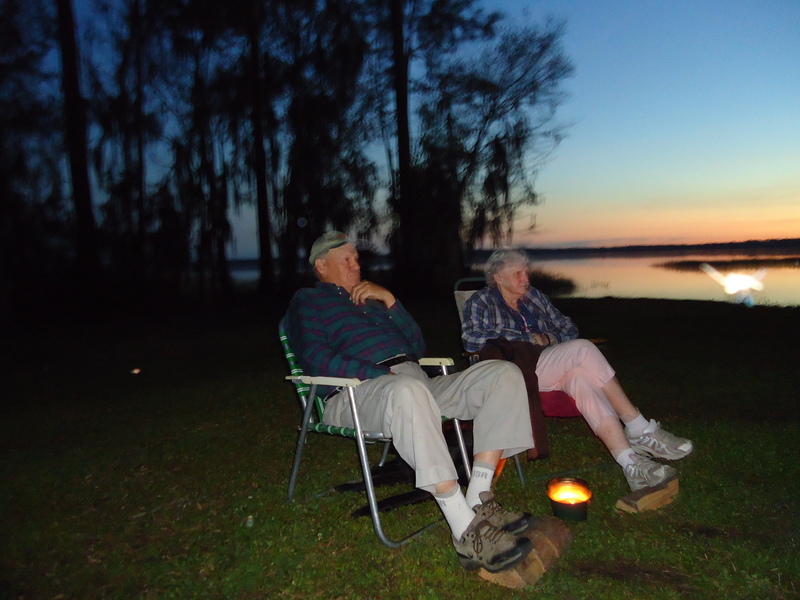 Campfire hosts Ken and Helen from Maine, Ken is 84. 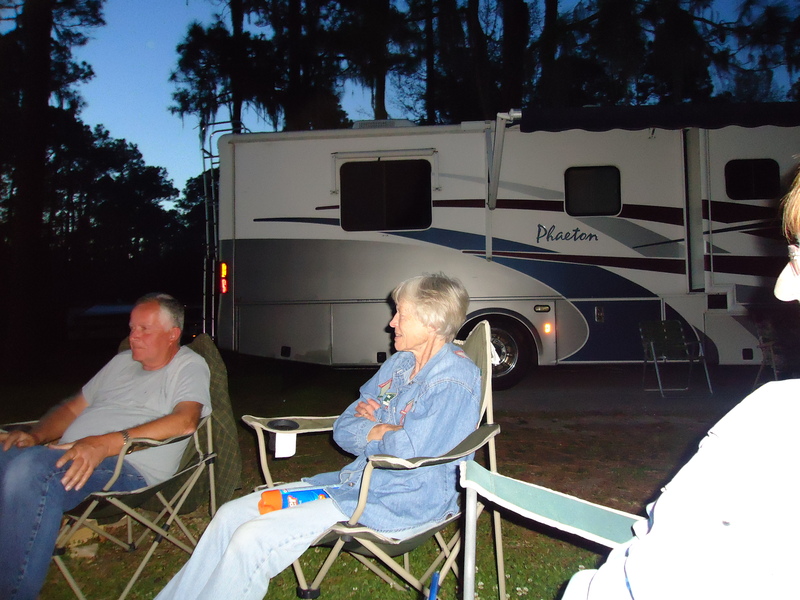 Len and Mary Ann who live on Lake Huron in Michigan. 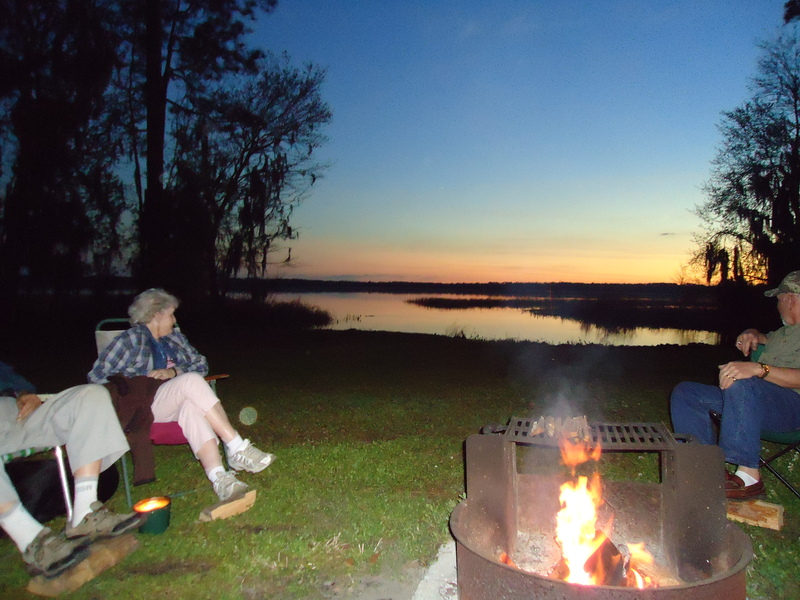 Chuck and Cathy who live on Lake Michigan in Wisconsin. They are leaving us tomorrow – God speed.